The power amplifier (PA) – as either a discrete component or part of an integrated front end module (FEM) – is one of the most integral RF integrated circuits (RFICs) in the modern radio. In this two-part series, you will learn the basics of testing RF PAs and FEMs through interactive white papers with multiple how-to videos. 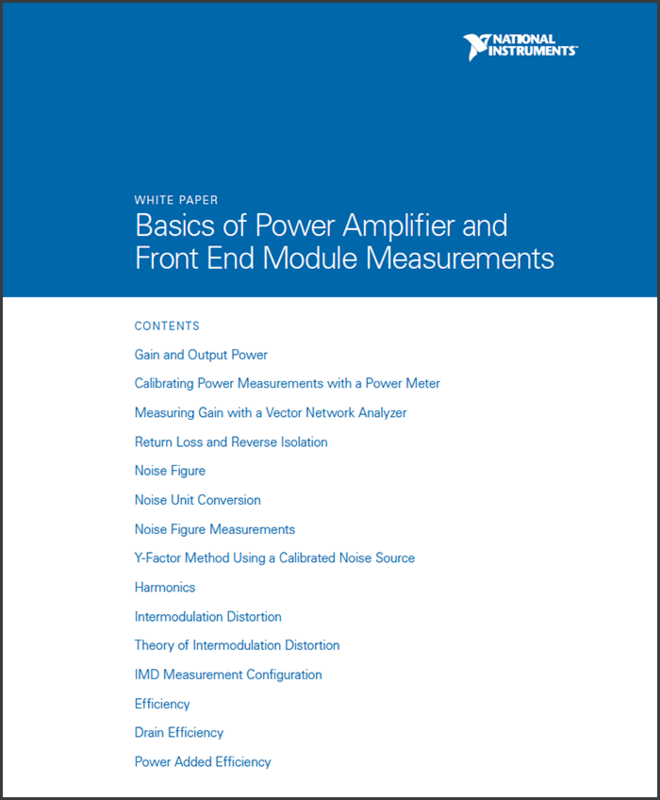 When characterizing the performance of an RF PA, engineers can use a wide range of measurements and test techniques to understand the gain, linearity, and efficiency of the device. 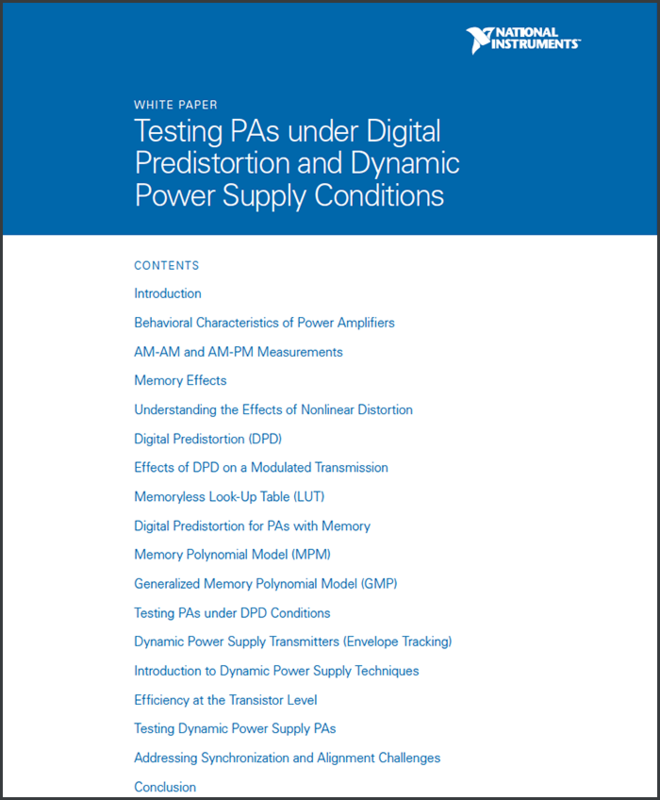 To address these linearity and efficiency requirements, system designers frequently use linearization techniques such as digital predistortion (DPD) to improve linearity, and dynamic power supply (DPS) techniques such as envelope tracking (ET) or direct polar (DP) modulation to improve efficiency.